Best Women's Self-Defence Classes in Teddington! Martial Arts classes are synonymous for attracting male dominant classes with a low ratio of female students but Choi Kwang Do is the art that is perfectly designed for women as well. 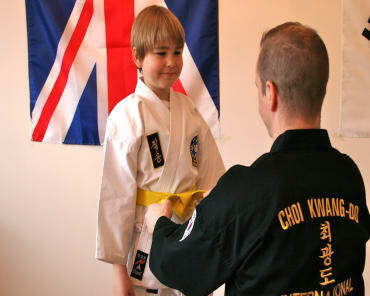 Learning effective Self Defence Skills is only a part of what Choi Kwang Do is about. Another main ingredient is the way in which you are taught, encouraged and motivated to reach your Martial Arts aspirations. 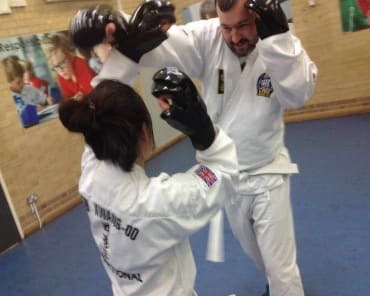 At Clarke School of Choi Kwang Do we focus on the positive strengths you have whilst slowly layering on more Self Defence Skills and allowing you to build up confidence at your own pace in a club environment where everyone is helping you to get better as opposed to trying to outdo you. Women of Teddington, Hampton Hill, Hampton, Whitton and Twickenham area that have the fighting instinct and wish to learn a solid foundation of Martial Arts fighting skills then Clarke School of Choi Kwang Do is the club for you! We offer a fantastic atmosphere and endless support from our instructors and club members so come join us for a FREE trial today as we are not only the friendliest club in Teddington but also positively female friendly, training the best women fighters in the area!